Search results for "Raw Story"
Twitter’s in-built analytics tool appears to have retired from the site without any announcement. The feature was launched over a year ago which allowed website owners to track links tweeted to their websites and see how many users clicked on them. The tool no longer appears under the analytics option in Twitter’s ad product. Just as with the tool’s launch, Twitter has not formally acknowledged its removal. The website analytics tool was noted for its ease-of-use which could be accessed by adding a piece of code to your website’s homepage. 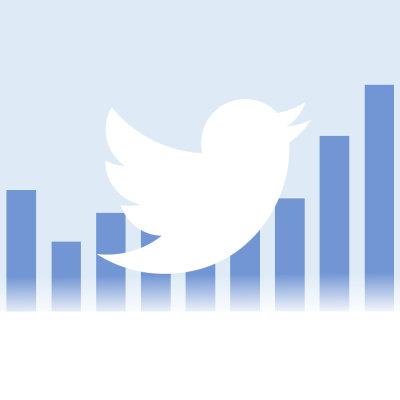 Data on detailed analytics about your website’s most popular content and the most-clicked Twitter links to your website can still be accessed by setting up Twitter Cards integrated into your website. Before the setup however, you need to apply for approval. Compared to the previous analytics tool, Twitter card doesn’t quite deliver the same amount of information. It does not track number of favorites, retweets and replies. It is instead combines into an count labelled ‘Engagements’. The disappearance of the tool might be an attempt to push users towards Twitter Cards. It enables rich previews of content among other things. If you could name a country in the Middle East region of Asia that has stereotypically been more ‘liberal’ and ‘calm’ than some of the others in recent times, then chances are that Jordan would appear a on a few occasions. If you could name one area of life in which most sane people would avoid embarrassing themselves unless it is a last resort, it is on TV, preferably in a formal environment such as a live interview. If you could name from past experience any ‘video’ story, you would know that the opposite of these two factors are about to come together in a unique scenario seen in the clip below. 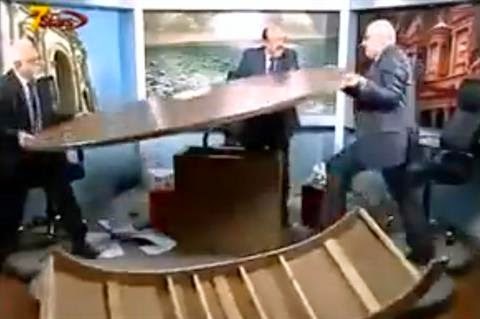 A Jordanian political TV show on network 7 Stars recently had to deal with two pundits (Shaker Al-Johari and Mohammed Al-Jayousi) wrecking the set as their debate on the ongoing Syrian crisis became overly impassioned, as normal discussion from opposing political views escalated into accusations against one another, followed by both sides choosing to utilise the old trope of ‘flipping the table’ when they got mad enough. When the History Channel first debuted, history buffs and educational instructors felt a breath of fresh air hoping the channel would be a conduit for raising educational consciousness. This was the case from 1995 to around 2008 when the history part of the History Channel went by the wayside in exchange for reality television show programming. This change in venue has it’s ups and downs as even though the classic documentaries that actually taught viewers are gone, the new reality series format has made the channel more popular and lucrative. As long as that traffic and revenue come pouring in, it’s doubtful that the History Channel now called just History is going to revert to the educational part of its own history. One can look at the history of programming on the channel to see a pattern. First, the channel got criticized for airing too much WWII content. It was comically called “The Hitler Channel” because of it. They also showcased the rising paranormal and conspiracy theory niches. These all proved to be a big draw as the subject matter was and still are top searches on the web. When those niches and genres died down the programming then shifted to the reality shows today like the popular Pawn Stars show. It’s common sense that a network or channel’s first objective is to survive. The History Channel management knows this and they have kept ahead of the pack. Even though the shows it highlights today are nothing associated with history, the programs are full of suspense, adventure and other talent showcases such as photography and cinematography. Thank goodness the best of the History Channel can be found archived and streaming and on DVD. Check out the online streaming sites and dig up your old favorites and remember when history was history. Adding to the spate of new-age content which has been considered for conversion into something even more mainstream, it has been revealed that well-known mobile game Draw Something has been earmarked as the inspiration for a new TV gameshow. The commissioning has come from one of the UK’s leading terrestrial networks Channel 4, who have confirmed that it is inspired by the popular app, which has been downloaded 50 million times since its release in 2012, along with having its rights purchased by Zynga for $180m. The format of now-upcoming series Draw It! will play in a similar manner to a game of charades, with teams of two taking turns to play ‘pictionary’, drawing images in order for their partner to guess the correct word. Because it is TV, though, and because shows consisting of regular members of the public are too ‘dull’, the format will incorporate celebrities into the contest, although with the difference of each team being composed from one of each, meaning that two contestant/celebrity combinations will go head-to-head in each episode. The unusual structure will see the teams compete over three rounds of competition, before the non-celebrity on the winning duo then forms a collaboration with both star guests in an attempt to claim a ‘cash prize’. The format is set to become a feature of Channel 4’s Friday night schedule, and will add to their history of providing alternatives to run-of-the-mill TV formats, but is Draw It! something people would rather do themselves at home than watch, considering they are fully able to ‘play along’? Celebrating a landmark 1000 episodes since premiering in January 1993, the WWE Raw brand have revealed that the start of their next ‘millenium’ will feature a new direction for the franchise, as their weekly installments of Monday Night Raw are expanded from two hours to three worldwide. Airing on its local home of the USA Network, American audiences saw the three-hour format (applied in ‘special’ episodes) used to celebrate the landmark in St Louis (USA), though it was also announced in the months leading up to the episode that installments of that length will be available 52 weeks a year, and that the brand are now offering a range of ways to influence the storyline in the ‘sports entertainment’ show by enabling features through their website and social media. For UK viewers who can tune into the weekly action on Sky, McMahon recently re-used his quote (replacing ‘USA Network’ with ‘BSkyB’) as an indication that non-American fans would not need to miss out on the extended episodes. 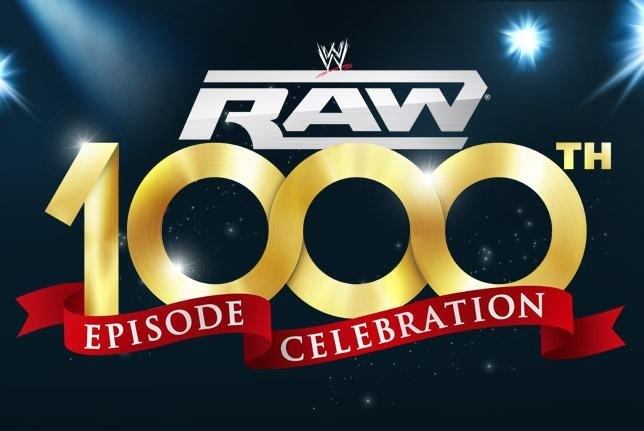 Meanwhile, in a 1000th episode special that saw the usual levels of scripted drama heightened (and a cameo appearance from actor Charlie Sheen via Skype), the audience numbers will naturally show an increase on the regular average, but will that many casual WWE fans will maintain interest as adds another 50% to its runtime to create a huge three-hour weekly slab of Raw? The much-anticipated return of hit CBS sitcom Two and a Half Men arrived after a controversial summer, with the 9th season premiere benefitting from all the publicity surrounding former star Charlie Sheen (and his replacement Ashton Kutcher), as clearly shown with their ratings. A huge figure of 27.8m people in America tuned in to see episode live, the largest audience in the series’ 178-episode history, and took a 25% demographic score with the 18-49 target age group. The figures are said to be double the average pulled in during season eight, which was prematurely ended after the problems involving Charlie Sheen, and his subsequent departure from the cast. The episode, entitled ‘Nice To Meet You, Walden Schmidt’, focused on explaining the absence of Charlie Harper (Sheen’s character) at his funeral, then seeing a number of celebrity guest stars attempt to buy his costly house, before Kutcher’s character Walden Schmidt, a suicidal Internet billionaire, meets the other main characters, and agrees to buy their house and live with them. The series will now continue with Ashton Kutcher leading the titular cast alongside Jon Cryer and Angus T. Jones. One of the near-28m watching the episode live, though, was Charlie Sheen himself, who declared recently that he has no hard feelings (possibly something to do with the reported $125m legal settlement he could soon be getting from producers Warner Bros.), and that he wishes success for the show in its new guise, despite previous claims that the show would not last long without him. Meanwhile, the anticipation leading to the new episode Two and a Half Men‘s huge audience offered a strong platform for new CBS comedy 2 Broke Girls, which drew a total of 19.2m. 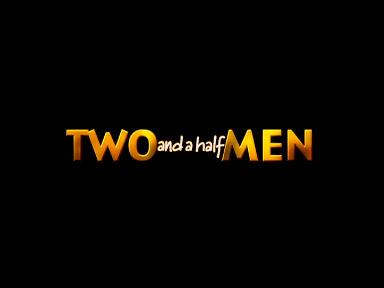 Two and a Half Men‘s new season may have started positively in the ratings, but will they be able to sustain them when the ‘headline factor’ wears thin?